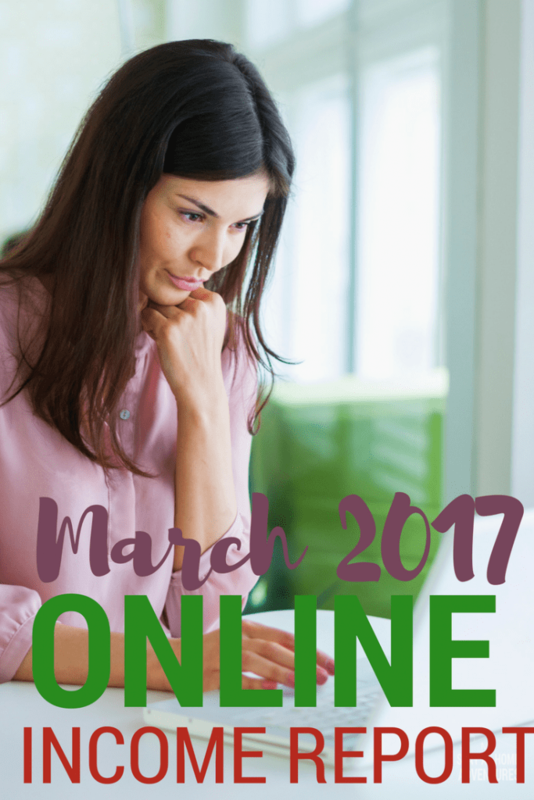 Let's do this and talk about March 2017 online income report and find out where we are, shall we? I love to blog, I do! But I also love to help people and motivate people to find a good way of life by taking care of their finances. This is the main reason I have this blog, to encourage and motivate others to create their adventure at home. As you all know (and if you didn't), making extra money was a main goal of mine when I became a stay at home mom. And making thousands of dollars doing something I enjoy was a nice surprise. 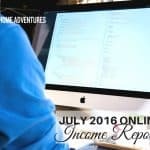 This is why I decided to keep my online income report going to motivate others to do the same. Now, let's talk about March 2017 income report and behind the scenes. March was an OK month, but the positive was that I am more focus and getting things done. Pageviews were as I wanted them to be and I created a new free workbook to help us, mom, to spring clean yourself this season. I am also working on a product to sell and make some extra cash, and I can't wait to talk about this later. 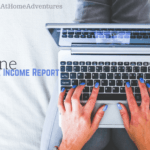 The reason I decided to combine two online income report is that I was even wondering if it was worth doing them anymore and then I was like “Joyce, girl, stop playing and write it” and I did. You will know that so far this year I have made over $200 (which stayed in my business account) because my expenses were too high and for good reasons. Before I explain all these let's go through the regular online income report reason why I do this. 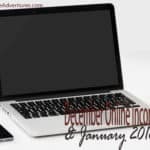 If you are new to my blog, for quite some time I have started writing about my monthly online income report to help me get out of my comfort zone and for accountability. 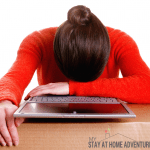 I became a stay at home mom after working for over 15 years. This journey was rough for me, and not just financially, but emotionally too. I formed some stay at home mom bad habits that led me to get out of my comfort zone, and that led me to start making money starting a blog. I used BlueHost to start my blog, and personally, never had any issues with them. It is affordable, and for over three years. *As of December 2016 I made the switch to LiquidWeb and moved all my sites and other sites to save money. I still recommend BlueHost to anyone that wants to start a blog. After reading this book, How To Blog For Profit: Without Selling Your Soul, I became more confident and decided I could increase my income. The funny part was that I decided to aim low when it came to my income goal. I didn’t dare to dream big at the time. I joined EBA (Elite Blog Academy), and that changed the way I handled my blog. I learned so much from turning my blog into a business and started from there. It was when I lost a chunk of my income that the drive to make more money from this blog became more important. In 2016 I made over $11,000 in seven months, and all from the comfort of my home. I didn’t work long hours, and honestly, I didn’t work much on my blog due to health reasons. I am proud of my blog accomplishments today, though. I am also pleased that I made that money on my own. I've also written a post where you can start a money blog this year with free to low-cost tools to help you get started! Still happy about this pageviews and changing my Pinterest game is helping big time! Also, Twitter seems to grow as long as I continue to tweet actively. As far as Facebook, I am still working on it but not dedicating as much as I used to. I will be, but right now I have to focus on other projects. Below are payments that were made to my bank account. As far as expenses, they are still high but for a good reason. I invested in things that are helping me cut back on time and are beneficial to my blogging business. I hope your April was good. 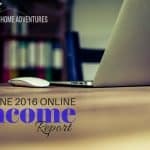 Let me know or leave me your income report link so I can check it out!